Build a rewarding career with lots of variety and challenge – make a difference! BearingPoint is a leading business and technology consulting firm with a difference. We are a global firm with a small firm feel, something that our clients and our teams say sets us apart. We’re passionate about delivering business results through innovative solutions which are running some of the largest organisations and government departments in Ireland. 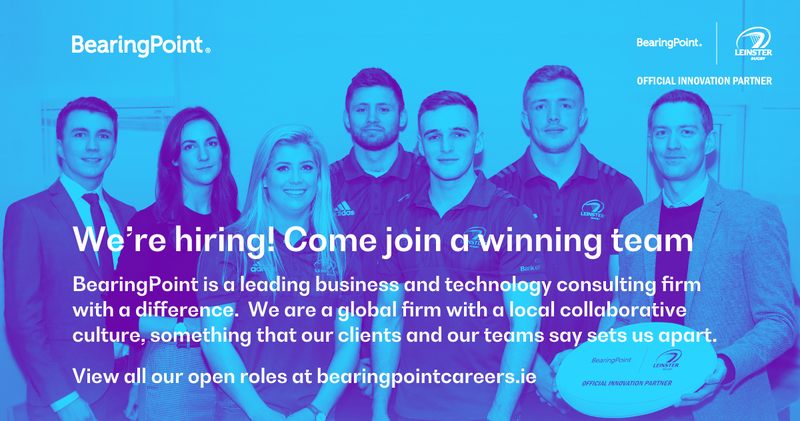 Learn more about where we came from, our Values and principles, our culture, our brand promise and the BearingPoint journey. BearingPoint was honoured as Consultancy and Advisory Services Provider of the Year 2017. We’re proud of what we’ve accomplished. Get in touch and we’ll tell you more!